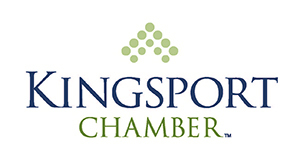 Kingsport Chamber Spotlight "Catch Me If You Can"
Check out this month's episode of Kingsport Chamber Spotlight! Lindsay Powers interviews Chris McCartt about the "Catch Me If You Can" Cyber Security Conference on Thursday, April 26 from 8 a.m. - 4 p.m at MeadowView Marriott Conference Resort & Convention Center.The keynote speaker is Frank Abagnale. Abagnale is a security consultant known for his history as a former confidence trickster, check forger and imposter. He gained notoriety in the US and overseas for his fraudulent crimes. He was later hired by the FBI as an expert on forgery and document theft, becoming the subject of his best selling book, film and Broadway Musical "Catch Me If You Can".